Home Fanatic NorthSails review Surfstuff trim tuning Windsurfblog update: new layout, personal goals, quiver review and tuning tips! A fresh start of 2017 with a new layout of windsurfblog.nl! For 2017 I'm planning to give more frequent blog updates. Please let me know what you think of the new layout and specific subjects or questions that you want me to blog about. 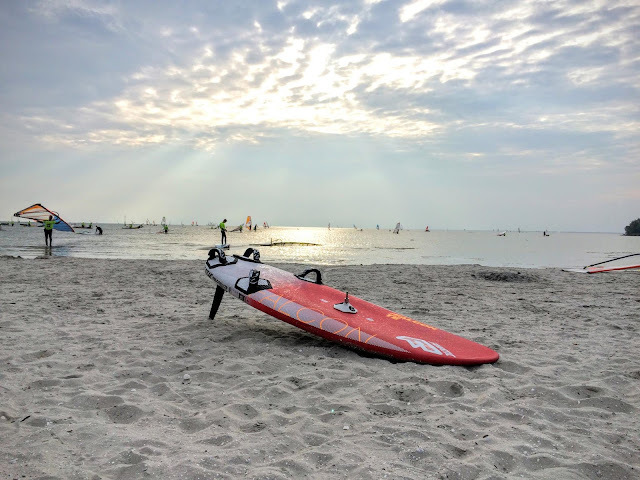 My goals for this windsurf season are simple, get fit again so I can get more time on the water and choose the best quiver for this purpose. 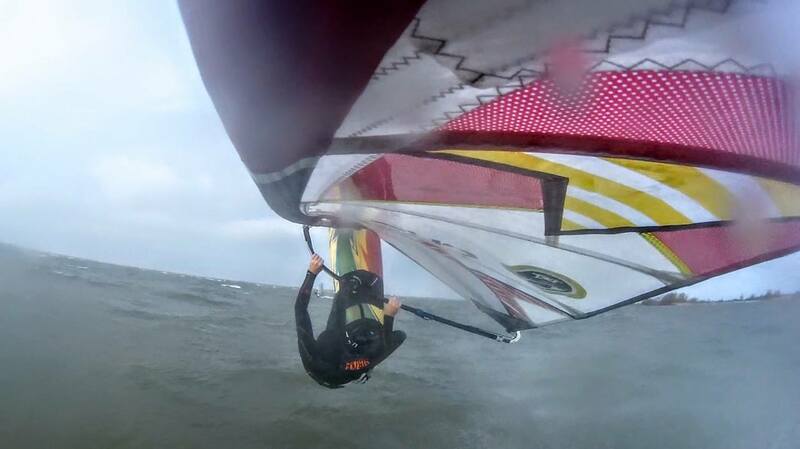 I changed my quiver for this windsurfseason to maximise the range of use, conditions and fun! 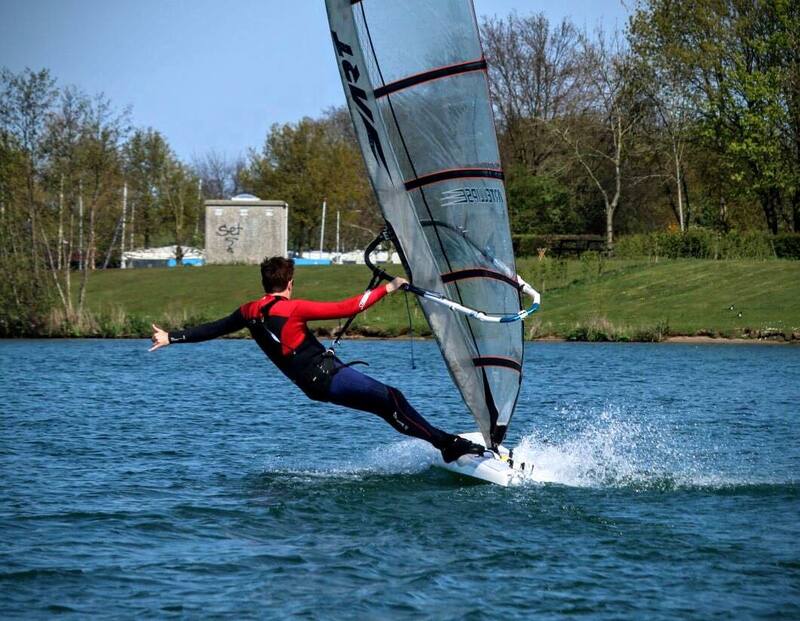 Last season the Falcon 138 (85cm) and Warp F2016 9.0 was the most used Slalom combo for me. 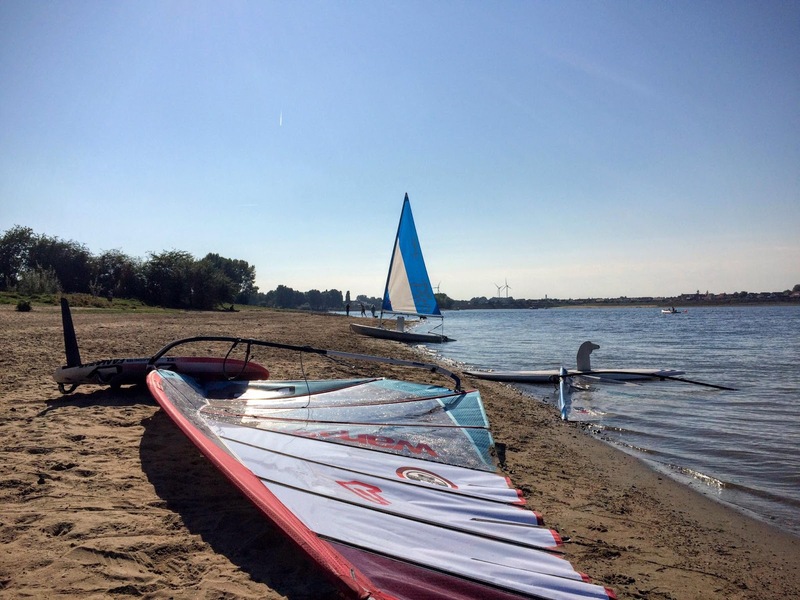 Because my homespot Kraaijenbergse Plassen is a small lake the wind is always gusty and fluky, you need a big set. 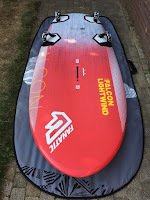 This year I decided to go for the new Fanatic Falcon 159 Lightwind (90cm) wide and replace the Falcon 138 with the Falcon 129 (80cm). 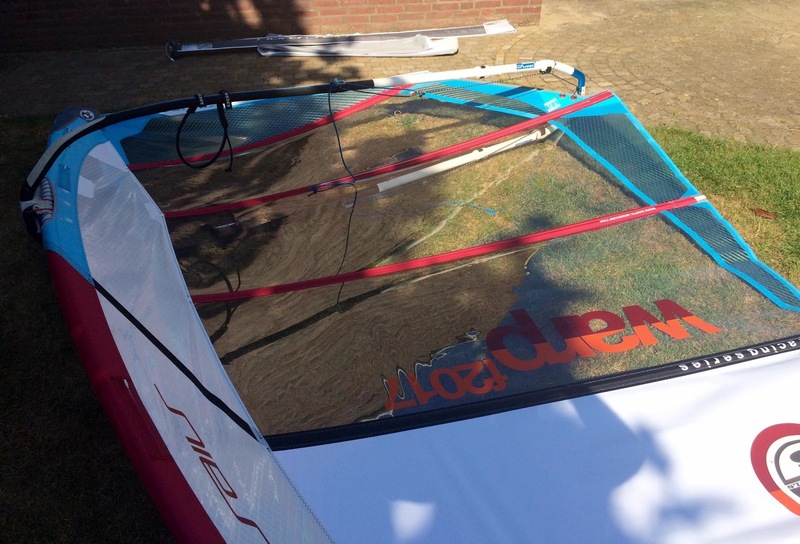 Also I added the biggest North Sails Warp F2017 9.6 to use with the Lightwind. Combined with the Falcon 114 (71cm) this should cover my Slalom needs. When the conditions get rough I don't have the physics to hold down a full-on slalomboard. So I decided to change my highwind Falcon slalomboard for a new Fanatic Blast 100 (62cm). This new stubby syle board is called a performance freeride and looks just what I need for blasting around. 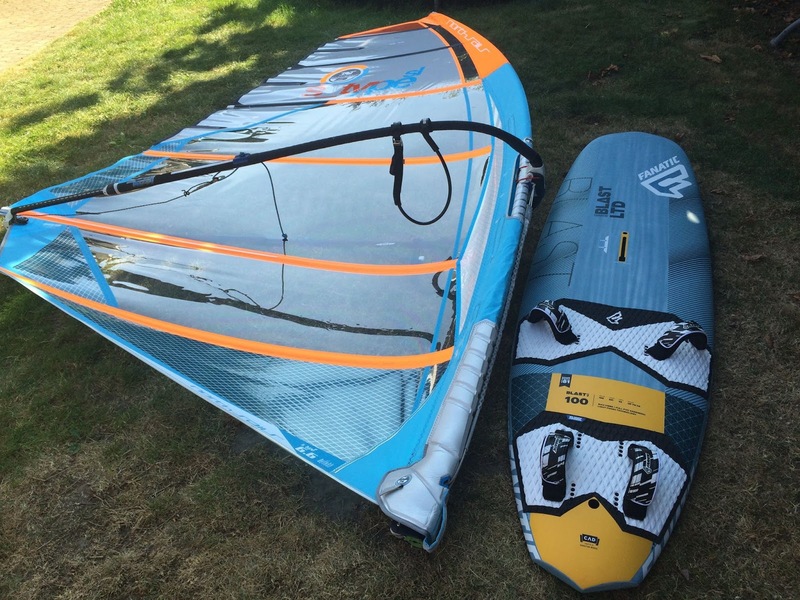 For this board I added the S_Type SL 6.0, 6.6 (3 cam sail), a bit easier to handle than the full-on Warps. 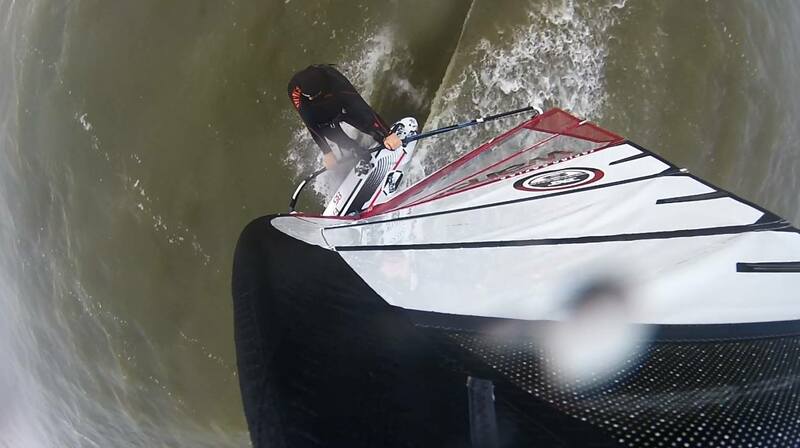 The Slalom fins I use for a few seasons now are F-Hot Slalom S3. These carbon fins fit my style, they give good lift and performance with ease of control! 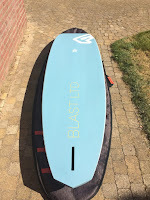 The Blast has standard a powerbox Choco 34cm fin that I still have to try. 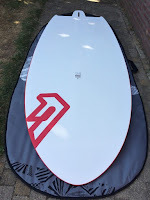 For my other quiver (speed, wave, raceboard) see further below in this article. 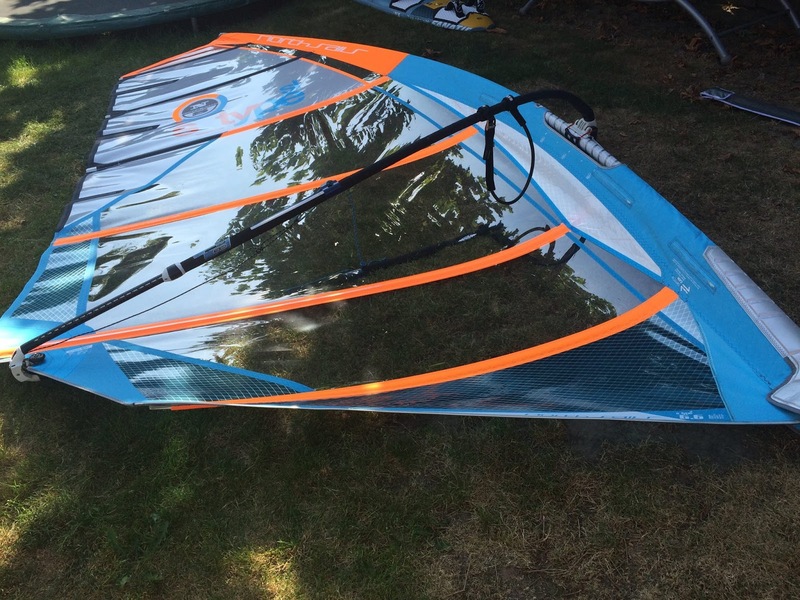 I have used the Falcon Lightwind several times together with the Warp 9.6. Remarkably good / fine trim, you can give full pressure and with every gust the board accelerates with control, the nose remains low. It jumps onto a plane easily and is very fast at all courses in comparison with my surfing buddies at 85cm slalom and formula boards. I used it with the standard included Choco 50, as well as with Select S1 57 but this was less loose. My impression is that this Falcon Lightwind does not need a super large fin to sail very loose. This I believe has to do with the other cutouts compared to the 152. I used the Falcon 129 at the RealTrip event in very light winds with the Warp 9.6 and F-HOT 46cm fin. 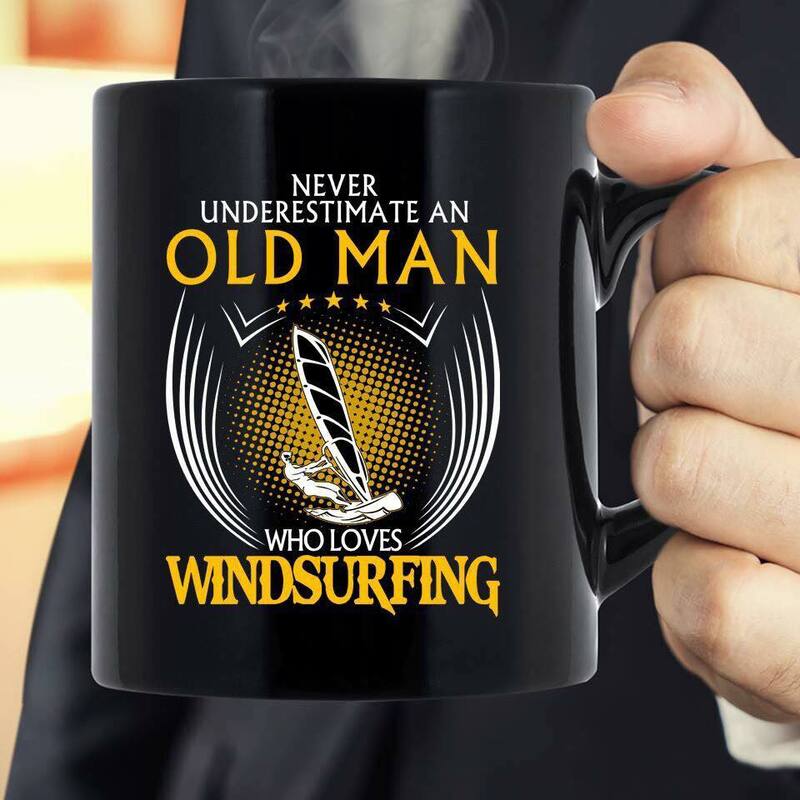 The board can handle big sails/fins but this was just too big. Next time I will use the Warp 9.0 and F-HOT 44cm. I expect that there will be just enough overlap between the Falcon 129 and 159 to switch easy. For example when the 9.6 with 159 is on it's highend, I can switch to the 9.0 or 8.4 with the 129. Al depending on the waterconditions of course. 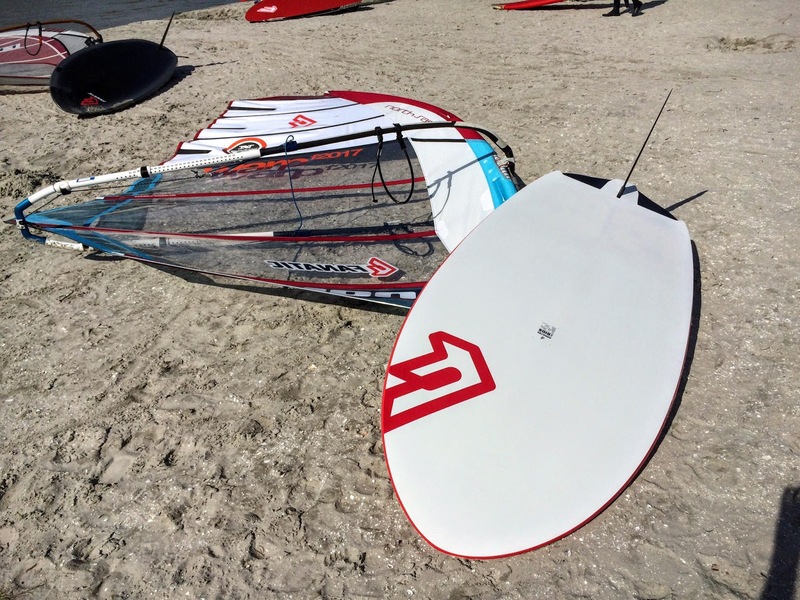 When it's flat the combo big sail with a small board is faster, but when it's choppy a wide board has an advantage. The same goes for the switch to the Falcon 114 (71cm), when the 8.4 with 129 get to big I can switch to the 114 with the 7.7 or 8.4. I haven't used the Blast with the S_Type yet, but the combo look promising. 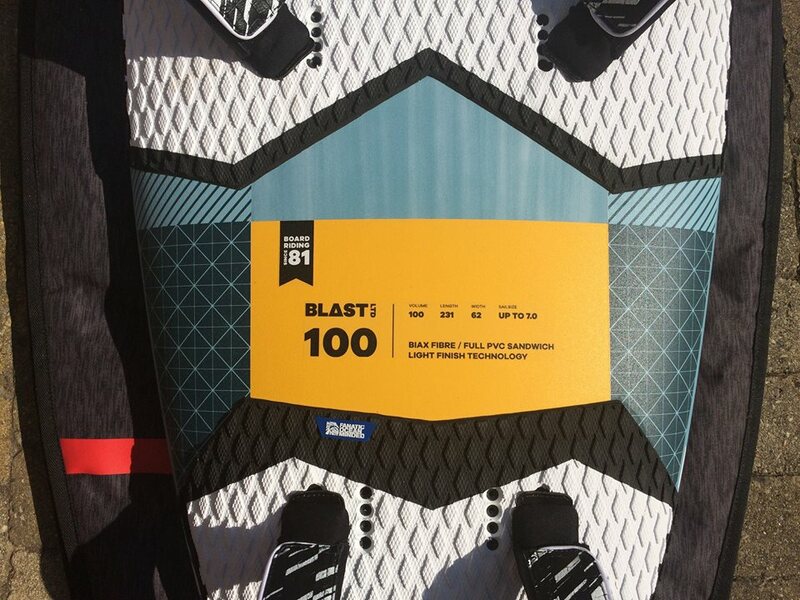 The shape of the Blast is stubby like and should feel compact on the water. 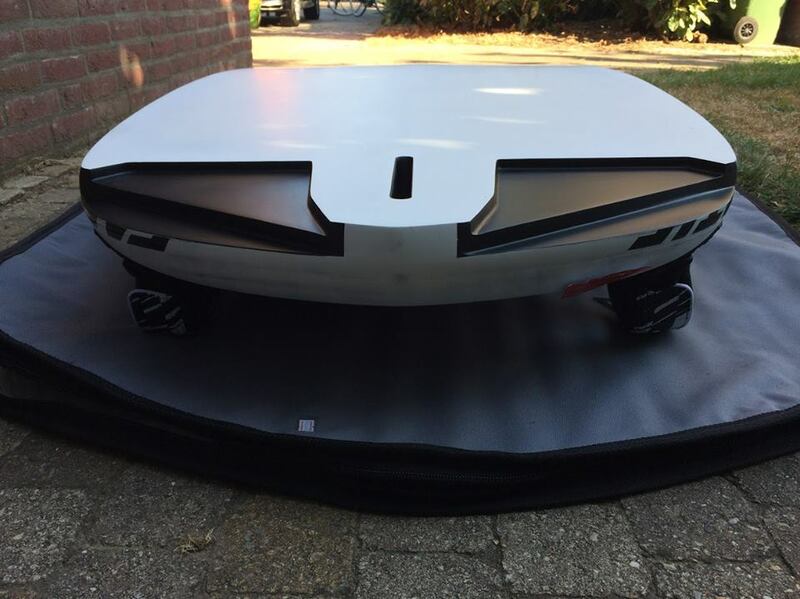 The bottomshape is a light concave V-bottom for good control, speed and easy gybing. 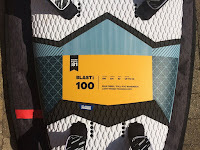 Performance freeride Fanatic Blast LTD 100 with the North Sails S_Type SL 6.6/6.0. The S_Type has a very nice profile and feels very light. Both 6.0 and 6.6 fit on the same 430 mast. Evolution of the succesful Warp F2016, some small changes that I can spot sofar like mastsleeve reinforcements. 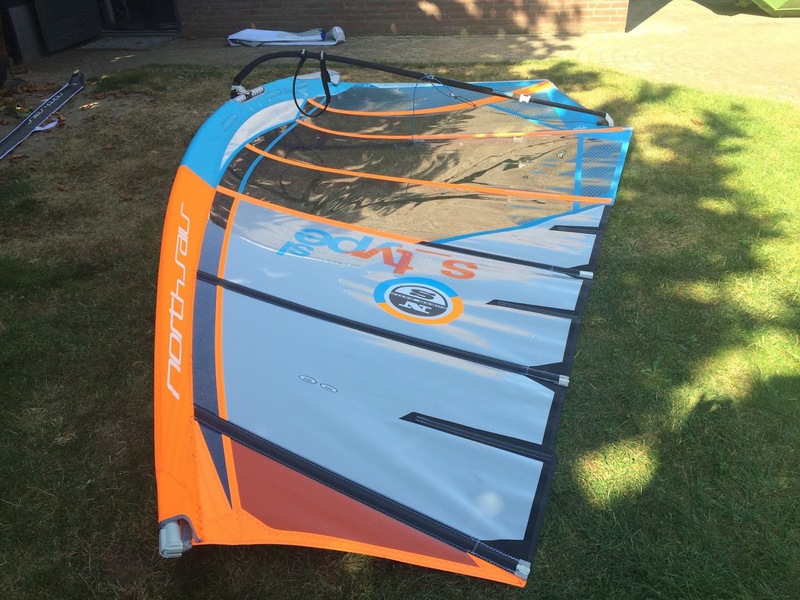 I used the North Sails Warp F2017 9.6 with the Fanatic Falcon 159 LW. Third time with the 9.6, getting dialed in with the trim. Ideal with these low wind conditions. The Warp feels a bit softer and better to pump, yet stable in the gusts. Very happy with that. Cams: The Warps are provided with cams pacers, factory fitted. 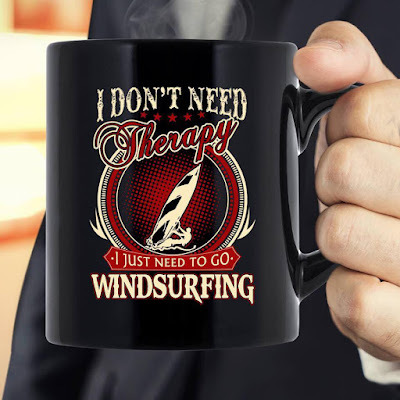 I pull it off and go out sailing a few times with a sail. The sail must "set" itself first. Then look for the right camberpressure. The camber just below the boom (cross batten) you need to press just to leeward. The cam just above the boom needs to press easier. The upper cam even easier. The lower cam is usually the tightest but would like to have a little less than the cam under the boom. Note that this is different from battentension. Tension battens, cross batten the tightest, that is turning with two fingers, do not overdo it. The lower and 3rd bar slightly less. All other battens no tension, just that the batten does not have to many wrinkles. For example, look at this picture from Laurence Carey who's traning on Tenerife right now. Downhaul: I use my sails never super overpowered. Ideal for me downhaul 1 cm from the maxtrim sticker in the upper part o fthe sail. Never mind the exact dimensions, trimming purely on the sticker in the sail! Outhaul: use vario! Sailing is super with only trimming the outhaul. No weird feeling with flat or full trimmed, the sail stays in balance. Rigging I do in this order: downhaul to 10cm from below, put on first the boom with good outhaul. Then put on the cams, first the cam under the boom, then the lower and above the boom, the upper cam goes on itself when putting on more downhaul. Please note that you only push on the cams itself and not on the mast sleeve. Then apply the appropiate downhaul tension. De-rigging is in exactly the reverse order. For Speed I will stick to my favorite Falcon 85 (58cm). 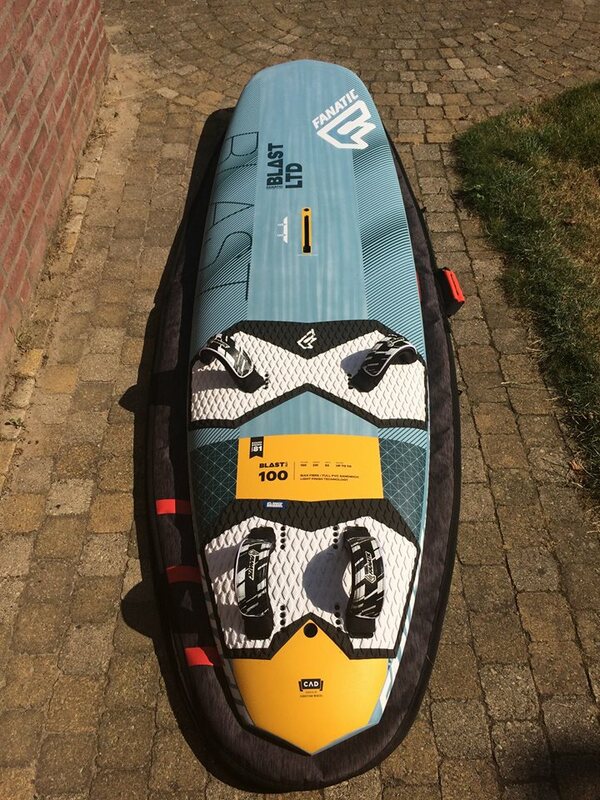 With this board I got my personal record of 40 knots max and I first want to break that personal record before changing this board. Cruizing and making long trips in lightwind is also what I like to do with the Fanatic Cat 380 raceboard and a big oldskool ART 10.0 racesail. 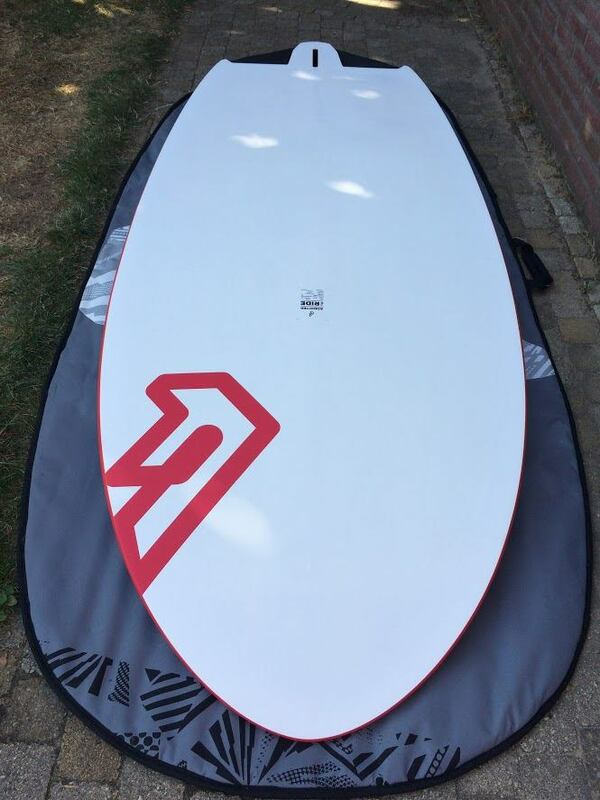 I also use this board for SUPing. Ideal when it's glassy and sunny. For Wave (bump&jump) I use my 30years old custommade Kosmos board, still going strong. This picture is taken at Makkum, IJsselmeer. 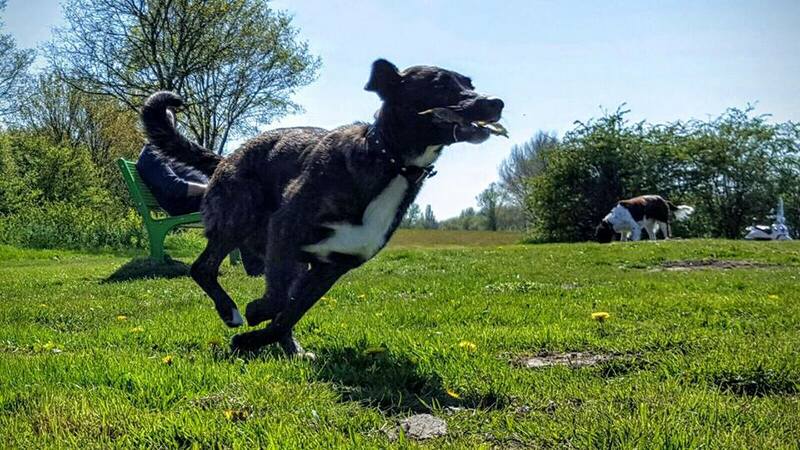 Hope you enjoyed reading this blog, leave a message or share it and see you next time! Nice article man enjoyed it!